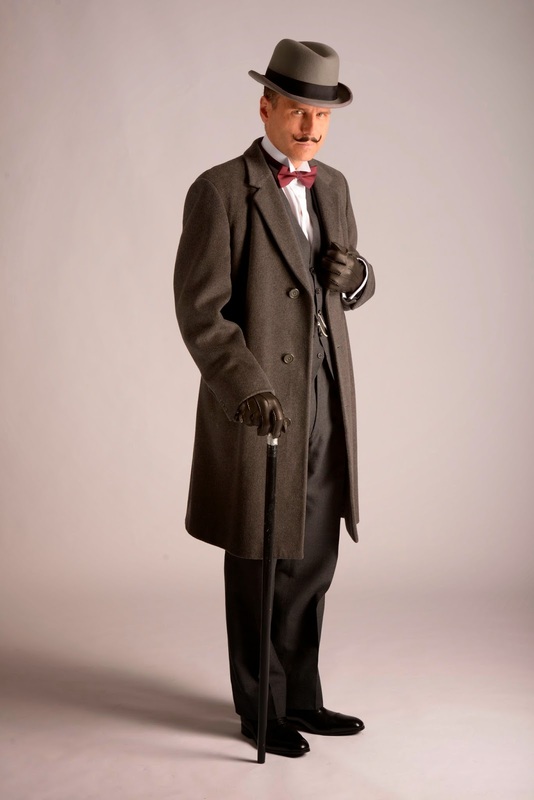 Agatha Christie’s much celebrated Belgian detective Poirot will be appearing at Darlington’s Civic Theatre in the first major revival of the only play to feature him in 40 years. 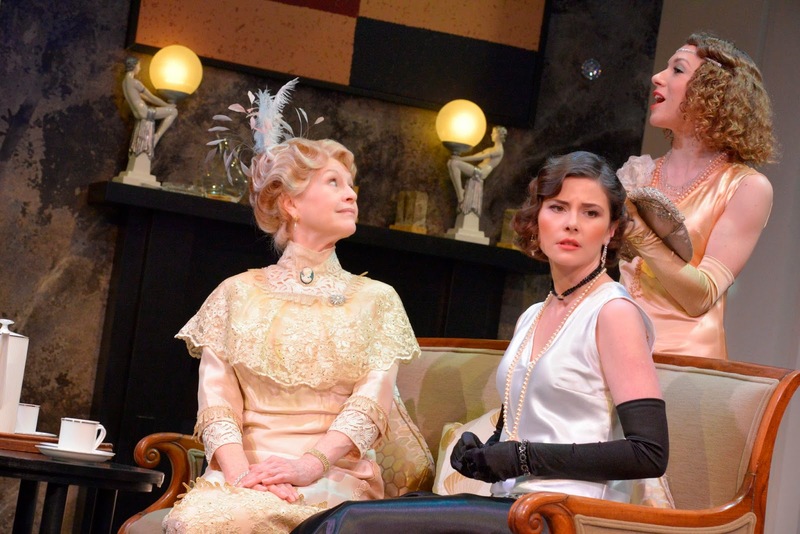 Espionage classicBlack Coffee appears Mon 22 – Sat 27 September. 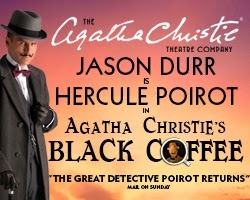 Jason Durr (Heartbeat) stars as world famous Hercule Poirot. Having recently appeared on UK stages in the title role of Sherlock Holmes: The Best Kept Secret, Durr’s previous Poirot-training saw him emerge as a household name following starring roles in hit television series such as Lewis (ITV); Midsomer Murders(ITV) Miss Marple: The Blue Geranium (ITV); Inspector Morse (ITV); The Chief (ITV) and, of course, Heartbeat (ITV) where he consolidated his heartthrob status playing the role of PC Mike Bradley for six years. 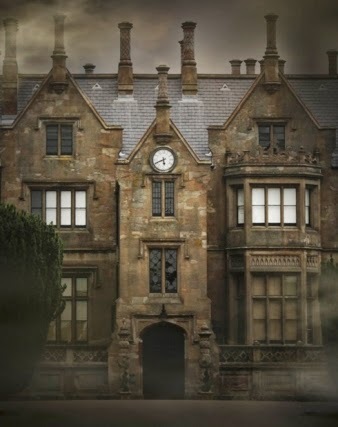 A quintessential English country estate is thrown into chaos following the murder of eccentric inventor Sir Claud Amory, and the theft of his new earth shattering formula. Arriving at the estate just moments too late, one man immediately senses a potent brew of despair, treachery, and deception amid the estate's occupants. That man is Hercule Poirot. Black Coffee features a heavy-weight cast including Agatha Christie Company regulars: Liza Goddard, star of such TV hits as Bergeracand the long-running Give Us A Clue, Gary Mavers who is best known for playing heart-throb doctor Andrew Attwood in Peak Practice and Ben Nealon, perhaps best loved for his role as Capt. Forsythe in the ITV drama Soldier Soldier. From the pen of the great Dame Christie – (who, having sold over 2 billion books worldwide is outsold only by the Bible and Shakespeare) - Poirot debuted in Christie’s 1920 novel The Mysterious Affair at Styles, making his first - and only - stage outing in the mistress of murder’s debut play, Black Coffee. The Belgian investigator went on to become one of world’s most cherished and long-lived fictional characters, appearing in 33 novels, one play and more than 50 short stories published between 1920 and 1975. To this day he remains the only fictitious character to receive a front-page obituary in the New York Times. His legend has proved ripe for adaptation and Poirot has been portrayed in comics, on radio and on screen for films and television, by actors such as Albert Finney, Sir PeterUstinov, Sir Ian Holm, Alfred Molina and David Suchet who, of course, played the eponymous hero in the ITV series since 1989, through the entire catalogue of books and dozens of short stories. He recently bid audiences an emotional farewell as Series 13 of the classic series concluded with his demise in Christie’s dramatic farewell, Curtain. Such is Poirot’s on-going popularity that the first official novel to continue Christie’s work will be published in September 2014. Written by crime writer and poet Sophie Howard, the title alone will be announced this Summer with the support of the Christie estate. Intrigue and suspense form the back-bone of this classic spy-thriller which follows The Agatha Christie Theatre Company’s hugely successful; The Hollow, The Unexpected Guest, And Then There Were None, Spider’s Web (which played at Newcastle Theatre Royal in 2009) Witness for the Prosecution, Verdict, Murder on the Nile and Go Back For Murder. 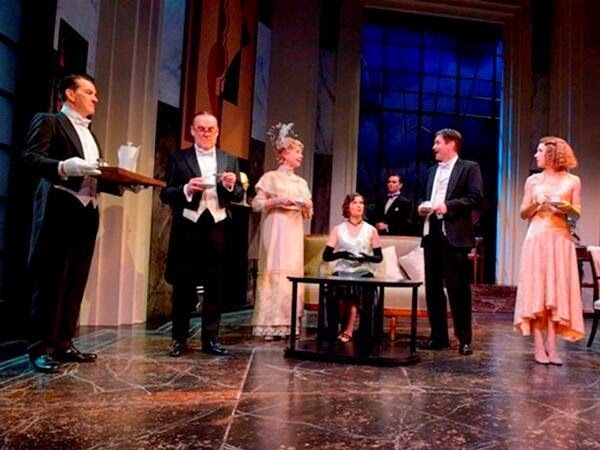 Presented by Bill Kenwright by special arrangement with Agatha Christie Ltd.
Black Coffee appears at Darlington Civic Theatre from Mon 22 – Sat 27 September 2014 (Evenings: 7.30pm, Matinees: Thursday 2pm and Saturday 2.30pm).